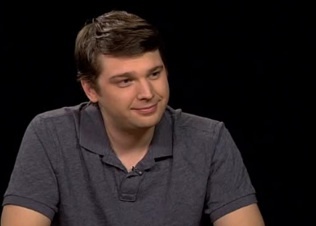 Groupon's Andrew Mason To Charlie Rose: "We Are The 'N Sync Of Websites"
Groupon CEO Andrew Mason was on Charlie Rose last night. He refused to answer any questions about why Groupon spurned Google’s $6 billion acquisition offer, but he did reveal a few stats and his thinking on what makes Groupon successful. Groupon now boasts 40 million subscribers for its daily deals, and added 3 million last week alone. In the beginning of the year, it was adding only about 100,000 new subscribers a week. When people call us the fastest growing company ever, I think of us as like the ‘N Sync of websites, like we have had good tunes, but we’re not The Beatles. It’s not like we’re the best thing ever. . . . I think that we’ll continue to see more companies like us who make us—who put us to shame a couple years from now with their rate of growth. get customers in the door. . . . So what Groupon does is — it’s for the first time local businesses get performance-based marketing. They only pay when these customers walk in the door. We get them in the door and then it’s up to them to give them an amazing experience. hundreds of millions of dollars of revenue this year. outfit with no explanation just to see what kind of reaction he got. I am pleased to have Andrew Mason at the table for the first time. ANDREW MASON: Thank you for having me, Charlie. CHARLIE ROSE: Give us the history of this. CHARLIE ROSE: Two years ago. it for a baby, when you do it for a company. some kind of group discount. happens. So we started it as this side project. CHARLIE ROSE: So “group buying” and “coupon” became one word. order to get that discount, a minimum number of people need to join. customers. And for that they’re willing to offer this big discount. million, but it’s actually 40 million subscribers. growing in terms of subscribers? ANDREW MASON: We added three million last week. new subscribers. And the reason is? CHARLIE ROSE: Especially local business. CHARLIE ROSE: They’ve never been crazy about Internet advertising. of a sudden they were expecting 20? surprised if we sell 1,000. CHARLIE ROSE: And how many did they get? CHARLIE ROSE: Helicopter flying lessons. what they did in the previous quarter century. life. It’s a thirst for experiences. CHARLIE ROSE: It’s a buying experience they like? helicopter or going skydiving or whatever it is. thought about? That they didn’t know there was this kind of bargain? it’s there for one day. finally get people to commit and get off the couch and go out and have fun. CHARLIE ROSE: And then you split the profits 50-50? CHARLIE ROSE: Are most people happy with the results? say they want to be featured again. their company is seen in a certain light of attention. read even if they’re not interested in buying the deal. CHARLIE ROSE: You want to do the marketing for them? Which is it? coming in there. It shouldn’t be this secret. CHARLIE ROSE: Oh, I see. We want to expose great ideas. CHARLIE ROSE: Or businesses that have something to offer to you. imitators. It is a serious form of flattery, but does it worry you? lead of writing code and technology and software? consistently great experience for our customers and merchants. CHARLIE ROSE: Please, do not say that. when we started the business, then we’ll be in pretty good shape. that you haven’t tapped, cities that you haven’t been to? ANDREW MASON: Self-driving cars. We’re going to get into that. been a little bit of talk about it, but tell us. ANDREW MASON: That’s actually all that I know so far. But I know that I want to do it. same way that sites like Amazon have changed the way people buy products. CHARLIE ROSE: So you’re the savior for small business in the world. computer and help people rediscover their cities. like every other company even when you’re a big one. they hear you calling, are thrilled. CHARLIE ROSE: And they’re lining up calling you as well. CHARLIE ROSE: Saying, “me, me, me”? CHARLIE ROSE: Do you shape the deal? ANDREW MASON: I don’t know. Maybe one deal an hour would work too. special, and it makes a really simple yes-no decision for consumers. exclusive subject of our site for a day. heard of.” That’s what he feared. CHARLIE ROSE: Yes. Shaped by your childhood, were you? CHARLIE ROSE: Changes the world? something with it. So I think that’s what got us started. And then the pivot to Groupon wasn’t expected by anyone, including us. about the trials and tribulations of running a brick-and-mortar business. that better than anybody else in the world. change the world and make it better. where social networking is today and where mobile is today? Tell me. that’s been laid, like within the tubes. environment that we’re growing companies in. CHARLIE ROSE: What might be happening in five years? CHARLIE ROSE: And so what does Facebook and Twitter mean to you? restaurants. It’s theater. It’s stuff that you do with friends. CHARLIE ROSE: Today in New York it’s yoga lessons. try this, what do they do? like three or four days in a row, then you unsubscribe. CHARLIE ROSE: And say Groupon is not for me. CHARLIE ROSE: Tell me the museum story. ANDREW MASON: We did half-off memberships. So normally $80. CHARLIE ROSE: They got, like, 5,000 new members? CHARLIE ROSE: What was the offer? ANDREW MASON: The offer was half off a membership. ANDREW MASON: Everybody that wanted it got it. recently and increased their membership base by 30 percent or something. CHARLIE ROSE: So Google comes along. press about it. Unfortunately, I can’t speak to it in any way. get to where we want to be? That’s it? like proposition and incline yourself toward other propositions? ANDREW MASON: It has to do with whether or not I would beat my wife. this tactic, so I’m prepared for it. So — you know what I’m asking. ANDREW MASON: I know what I’m asking. You know I can’t answer. CHARLIE ROSE: A boy can try, can’t he? ANDREW MASON: It is amusing. you influenced by decisions that Facebook had made? ANDREW MASON: I can’t talk about this, Charlie. CHARLIE ROSE: But I don’t understand why you can’t talk about it. don’t bring them home to your parents right away. CHARLIE ROSE: That’s a perfect answer. That’s all I’m looking for. It’s great to have you here. Thank you very much. ANDREW MASON: Thank you for having me. CHARLIE ROSE: Groupon is just a great story. ANDREW MASON: It’s great to be part of it. CHARLIE ROSE: Yes. Thank you. ANDREW MASON: Thanks for having me.